It was one of the most poignant moments that Rev Mary Causer has faced during her time working within the NHS. 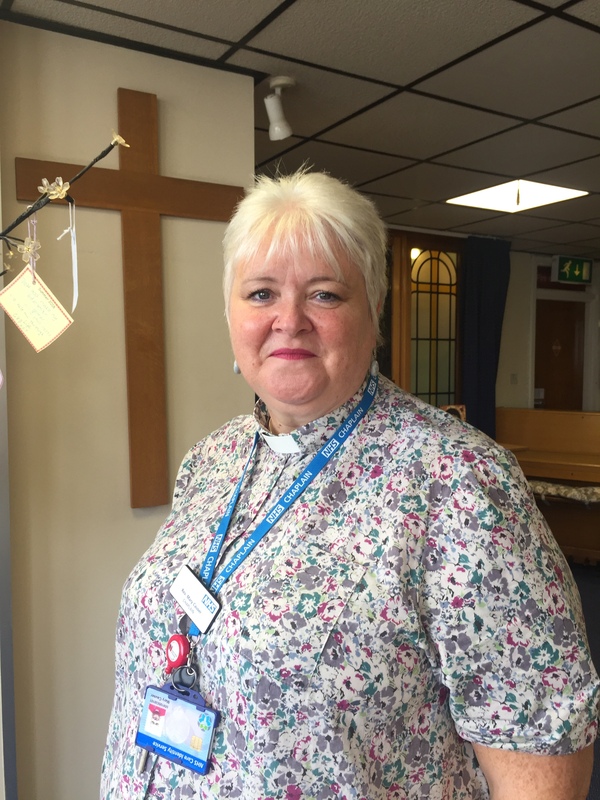 As chaplain at Sandwell and West Birmingham NHS Trust, she was asked to marry an end-of-life care patient to his long-term girlfriend at City Hospital, Birmingham. “I had just started working at the Trust and was asked to marry a beautiful couple,” explained mum-of-one Mary, aged 53. “The patient was very ill but wanted to carry out this one final act with his partner. Mary, who has worked for the Trust for more than two years, added: “I had to organise the legal side of the marriage, and also be the emotional support – which was all a new experience to me. The staff were amazing throughout and helped to decorate his room where we held the ceremony. Working within the NHS is certainly a big change from Mary’s previous job. She recalled: “I had come from working as a chaplain in a category A prison, so there was a big difference in the type of ministry I provided. “But I really enjoy being here. My hope is that wherever I am across the Trust, I can make someone smile. I like making people laugh, but it’s also about being in the right place at the right time for those people who need more direct spiritual input. “The chaplaincy is incredibly important and I see that my congregation isn’t a church, but a whole Trust. Mary decided to become a chaplain after studying theology at college. She had been invited to sing at a prison. She saw how a chaplaincy worked and it appealed to her. “I didn’t really know what I wanted to do whilst I was at college, but singing at the prison helped me to come to a decision,” said grandmother Mary, who lives in Langley, Oldbury.